It’s the time of year when we put down our rakes and shovels, winterize our sprinkler systems, and park our lawn mowers for the winter as we retreat inside. The weather may be cold but nothing beats curling up next to a warm fire with a cup of cocoa. Before you get comfortable you better make sure you have plenty of firewood on hand. But what is the best type of firewood to burn? Well, it depends on your personal preference and where you live. Anyone who’s tried burning unseasoned logs in their fireplace during the winter knows that it’s a bad idea. It’s hard to light and when you finally do get it lit you have to constantly monitor it to make sure it doesn’t go out. To make things worse, unseasoned wood is still full of water which causes a lot of smoke. Seasoned wood should always be your first choice. Seasoned just means that the wood has been drying for a long time and retains no more moisture. These are the kind of logs that you want to use in your house because they smell great and burn clean. On the other hand, unseasoned wood is wood that was recently cut and therefore still retains a lot of moisture. It may be easier but you’ll soon learn it’s not ideal. Unseasoned wood can give off resin that clings to the walls of your stove, fireplace, and chimney. As the resin builds up it can clog your chimney, causing smoke to fill your house, or even cause chimney fires. Oak: A slow burner that is probably the most popular wood available. It’s dense and is found throughout the continent. Although it takes longer than usual to season, a fire built with oak logs cannot compare. Maple: Maple wood produces long steady burns. As with oak, it is abundant and found in almost every corner of the country and is a very popular choice among wood burners. 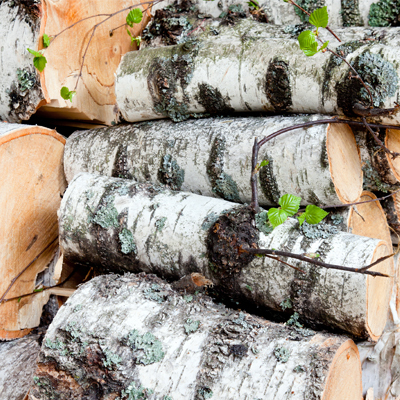 Birch: Birch logs look beautiful just sitting in a fireplace. The flakey white bark really draws the eye. Even though birch burns quicker than maple or oak but the flame it produces is much more beautiful. American Elm: Elm is a popular, low heat wood. Perfect for warming your house but not too warm. This is ideal for people who live in milder climates who don’t want to turn their house into a sweat lodge. Cherry: Cherry wood gives off a wonderful aroma that will fill your house, creating a warm comfortable mood. Cherry does not need to be fully seasoned like most woods to reap its benefits. At PPM Trees we select and deliver only the best firewood for our customers. 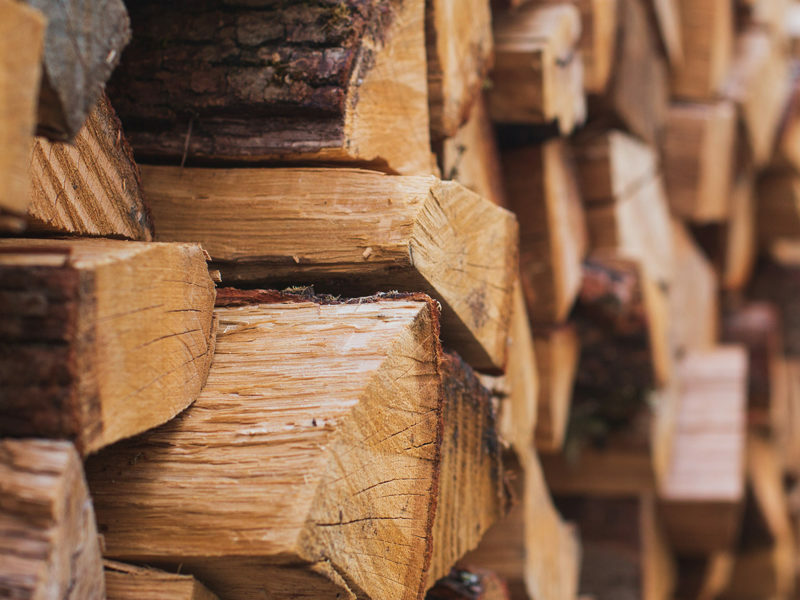 Check out our firewood delivery service and keep your house the perfect temperature this winter. We love trees for their sturdiness and hardiness but when they die or need to be removed those traits can come back to haunt us. Cutting the tree down is the easy part. Stump removal is the hard part. Since humans first started cutting trees down they have had to deal with stump removal and there are about as many techniques on stump removal as there have been versions of the mousetrap. 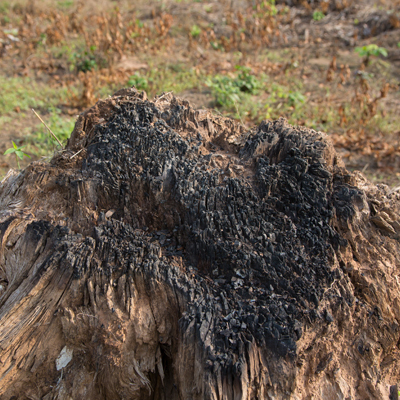 I will go through some of the best ways to remove a stump and list the pros and cons of each. If you visit your local hardware or garden center you will find several products that claim to be able to speed up the process of stump decomposition. Sure, it sounds easy, too easy. Going the chemical route means you need to have access to an electric drill and be able to drill a lot of holes depending on the size of the stump. The holes allow the chemical to seep into the wood. This isn’t going to magically remove the sump overnight. 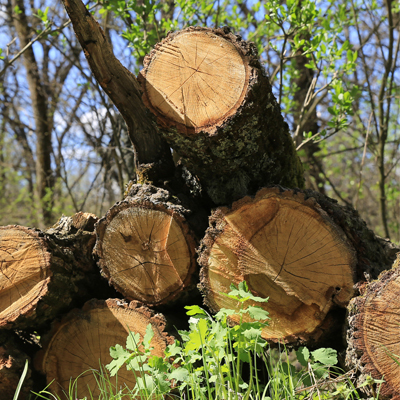 The chemical process can take a season or two to soften the wood up enough to be removed. Even then, the tree might not be soft enough everywhere to bust apart. The instructions also suggest using kerosene to burn the stump. Soak the stump with kerosene, light it, and the stump will slowly burn away. When I say “slowly” I mean SLOWLY. It might take several burns to completely remove the stump. The first idea that people usually jump to is burning the stump. Sure, it’s made of wood and a stump is just a big log, right? Wood from a tree trunk is often much denser than wood from branches. That’s because as trees age their centers become harder. If the tree has been dead a while before you cut it down the wood might be harder than a living tree. The idea is that if you pile wood around the stump and maybe use some kind of accelerant that the stump will burn out completely. In my experience, this only makes things worse. Building a fire around a stump, even if you have drilled holes or cut slats in it, will only make the stump harder. You are essentially fire hardening the stump. Pros: It’s a good excuse to have a bonfire. Cons: Only hardens the wood. If you want that stump gone today then rent a stump grinder. This may be the last resort for people and there’s a good reason. It works 100% of the time. This machine can chew up even the biggest stumps in a few hours and they dig 6 to 12 inches below ground. All you are left with is a hole filled with wood chips. Perfect for planting a new tree or garden. Be sure to follow the safety instructions before you operate the machine. 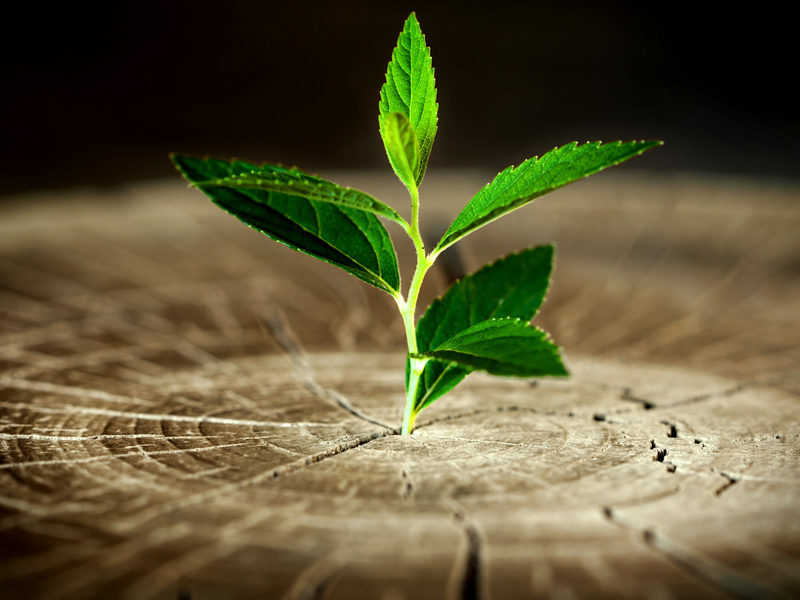 If you are in no hurry to remove the stump you could always let nature take its course. A stump can stay solid for several years. Depending on its size, good sized stump can stick around for a decade. Many people like to take advantage of it by carving the stump into something unique or using it as a stand for flower pots. Cons: Stump can remain for ten years. Removing a stump is not easy no matter how you look at it. 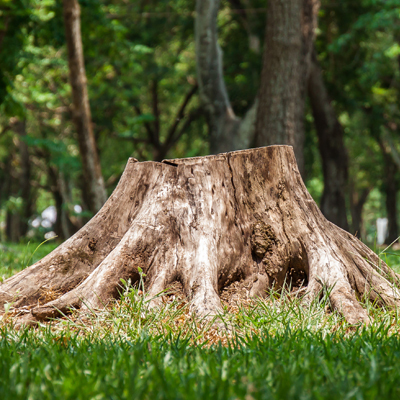 If you want to have your stump removed right away and safely then call the professionals at PPM Trees. We have the equipment and the know-how to get out any sized stump. Call us today at (877) 454-8733 or leave us a message on our site.